‘I Live To Sing,’ and ‘Gloria Victoria,’ to open Third Annual American Documentary Film Festival on Thursday, March 27th. Director and stars of ‘I Live To Sing,’ scheduled to appear for post-screening Q&A, plus live on-stage performance. The American Documentary Film Festival and Film Fund, which is scheduled to open on March 27, 2014 and run through March 31, 2014 in Palm Springs, CA, is proud to announce its Opening Night Films, and its first two Official Selections for 2014. “Our Opening Night Gala at the Camelot Theatres begins at 5:30 p.m., with our Opening Night Reception, and continues with two must-see films, starting at 7 o’clock.” said Festival Director, Ted Grouya. “We’ll begin with Gloria Victoria – the 2014 Academy Award® finalist in the Best Animated Short category, and continue with the West Coast theatrical premiere of New York Emmy® Award- winning director Julie Cohen’s outstanding new film, I Live to Sing. Decades after the end of apartheid and Nelson Mandela’s election as South Africa’s first black president, the nation struggles to fulfill the promise of a transformed society. 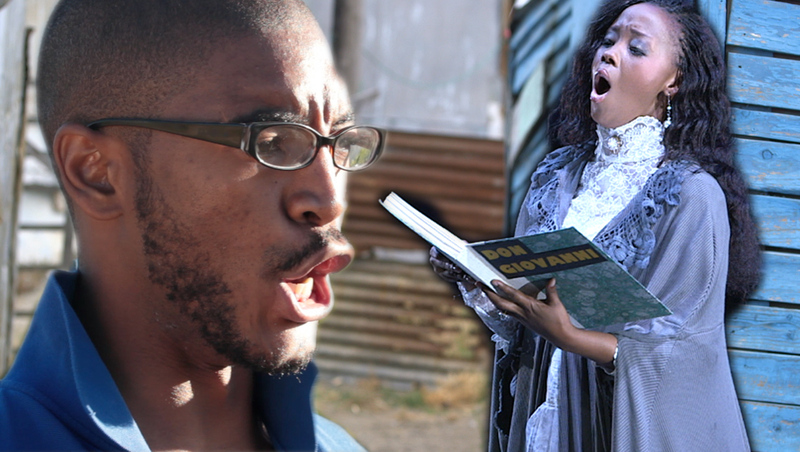 At the University of Cape Town’s once all-white opera school, both the struggle and the promise are embodied in an enormously talented group of classical singers from the black townships. When the opera school opened its doors to black students after apartheid, faculty members were awed by the wave of gifted singers that poured in. Many learned opera in competitive community choirs in the townships, while others heard it only on TV. Today, the school is two-thirds black and mixed race, and is achieving greater success than ever in propelling graduates to the world opera stage. Recent alumni are now achieving great acclaim at venues such as The Metropolitan Opera in New York City, and La Scala in Milan, Italy. 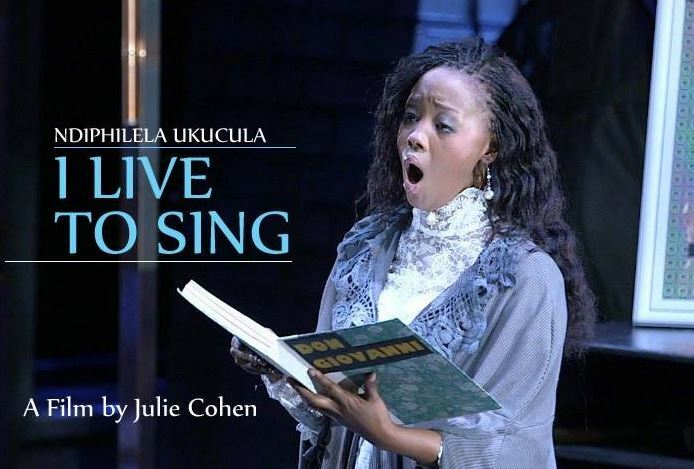 Ndiphilela Ukucula: I Live to Sing (half of the title is in Xhosa, the native language of many of the students) is a documentary and performance film following three of the opera school’s top students through a year in the program. Cohen & her team travel with the students from their townships, where they’ve faced financial hardship (and, in some cases, health struggles) to Cape Town, where they perform in the city’s Opera Hall (once a flash point in the anti-apartheid movement), and to New York, where they sing at the prestigious Glimmerglass Festival. Along the way, they confront many obstacles — from racial politics to tuberculosis and illness, to family fears that opera is not a suitable career. Following the screening of I Live To Sing, director Julie Cohen will introduce the three stars of the film – Linda Nteleza, Thesele Kemane, and Makudupanyane Senaoana, who will give a live musical performance on the grand stage of the 539-seat Camelot Theatres.